Saturday, September 4 at 11:00 a.m. - CANCELLED DUE TO ILLNESS; event will be rescheduled for Saturday, October 23 at 2:00 p.m. Celebrate baseball and Labor Day with author Dan Gordon. 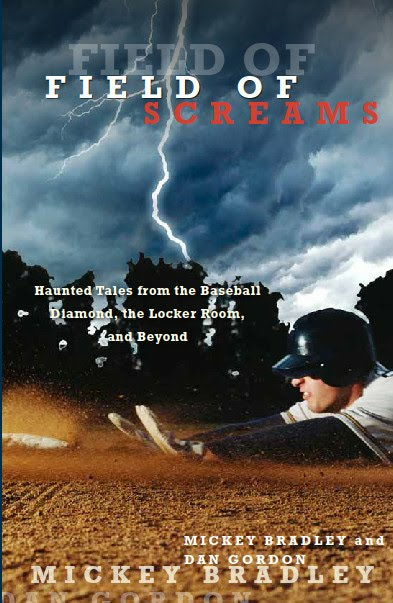 He and co-author Mickey Bradley have just released Field of Screams: Creepy Tales from the Baseball Diamond, the Locker Room and Beyond, the highly anticipated sequel to Haunted Baseball: Ghosts, Curses, Legends & Eerie Events. Drawn from more than one thousand interviews with current and former major leaguers, Field of Screams reveals more of the sometimes bone-chilling, sometimes heartwarming, sometimes hilarious stories that make their way around the clubhouses, team buses, and water coolers.